Online poker players in the US have something of a tough time when it comes to choosing where to play. Naturally they want to play somewhere they can easily deposit and have a decent selection of games to choose from, and generally have a positive experience. This means playing somewhere that offers a range of deposit options, has plenty of players and uses quality poker software. Like anyone they face the difficulty of knowing which the good sites are and which are best steered clear of. They also have to deal with the fact that not all places accept US players, which does limit their options a little. The good news is that several leading poker rooms do still welcome US players, although not all of them accept players from every state. As part of our service to our readers, we have carried out a great deal of research into online poker sites and what they have to offer. This research has enabled us to rank the top sites in a variety of categories, and below we have listed the best Texas poker sites. These are the places we recommend playing if you live in Texas. Further down this page we have explained how we go about ranking these, and we have also provided some information on the laws and legislation relating to poker in Texas. We employ a quite straightforward process for ranking poker websites, which basically involves researching a range of different sites and comparing what they have to offer. 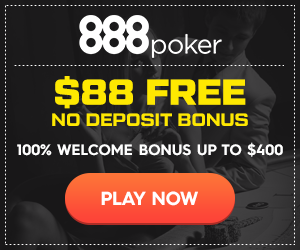 There are certain factors that we believe to be essential for a good poker room and the sites that perform best in those areas are the ones we rate highly. These factors include reliability and security, deposit and withdrawal options, quality of software, choice of games and stakes and traffic at the tables. After determining the best sites based on these, and some other, factors, we then rank them in the different categories we cover. The sites that you see listed above are the highest rated sites that welcome players from the state of Texas. Considering that poker is such a popular game in America, playing the game online is really not as straightforward as it could be. Ever since an act was introduced in 2006 (known as the UIGEA) that changed the laws on companies accepting payments relating to gambling, there has been much debate about the legalities of online poker in the US. There is no clear cut law that states it is illegal for a US resident to play poker online, but many places stopped accepting US customers because of challenges in dealing with deposits. The situation is further complicated by the fact that laws and regulation relating to online gambling can vary from one state to the next, and there is also the assertion that poker is not gambling at all but rather a game of skill. Gambling laws in Texas are quite strict and gambling is largely prohibited throughout the state. There are some exceptions such as parimutuel gambling and the state lottery, and there is a Native American run casino in the state, but for the most part gambling is simply not allowed. In terms of poker, you can play in a private residence but it is illegal to take a rake. It is also illegal to operate an online poker site in Texas, but there is no specific law that prohibits you from playing online. There is every sign that the poker laws in Texas are going to be changed at some point in the future though, and there are currently a number of options being looked at. In March 2013 there was a proposal for allowing legal social poker establishments to offer live poker games, and a poker bill introduced towards the end of 2012 proposed the legalization and regulation of online poker under the authority of the Texas Lottery Commission. Another development in 2013 was a proposed amendment to the state constitution that would mean Texas would automatically opt-in to any federal law that allowed for the licensing and regulation of online poker at a state level. Should this amendment be passed, it would mean that any state laws prohibiting online poker would be superseded should there be a federal law allowing for its regulation. It is not yet entirely clear what is likely to happen in Texas regarding online poker, but there are certainly efforts being to introduce appropriate legislation.